Last week I had the pleasure of meeting Dayna Kurtz who was in town ahead of her concert appearance with soul & gospel legend Mavis Staples at the Sala Apolo. Dayna is, in my opinion, one of the best unsung (pardon the pun…) jazz/alt-country/Americana talents in the world – go and buy some of her music then see her live next time she’s in town: you won’t regret it. A fellow food freak as well as a great vocalist, Dayna wanted to get lunch near Sant Antoni Metro station. For good, traditionally Catalan, homely food that would hit the spot on a rainy day in the Raval there was a clear, standout contender: Mam i Teca (Carrer de la Lluna 4, 934 413 335). This tiny, four-table restaurant’s hardly a secret: city guides and food blogs have raved about it for years but it remains unspoiled by success. Chef/owner Alfons Bach could have been working from my personal blueprint to create the perfect small restaurant when he opened this place: top quality, local, seasonal food, daily specials on a blackboard, environmentally and ethically responsible (one of only a handful of Barcelona restaurants that meets the Slow Food group’s km 0 criteria) and a splendid selection of wines and spirits. Mam i Teca’s closed on Tuesdays and opens in an unhurried manner from 1-4pm and 8.30pm-midnight on other days except Saturdays when it’s closed for lunch. It’s a small place so make sure you book – or at least get there very early with a backup plan in case it’s full. I was enjoying the meal and the conversation too much to break out the notepad and camera which is why this is a Bite-Sized review. Suffice to say that we ate and enjoyed the kind of fare that put Mam i Teca on the map: a selection of quality tuna and anchovies, slow-cooked pork ribs, trinxat (Catalan bubble-and-squeak, one of my favourite belly-fillers – cabbage, potato and pork is always an internationally-triumphant combination). A bottle of good Montsant red was consumed, some carajillos followed. Expect to pay €25-€35 per person here, depending on how hungry you are — or how tempted you are by the wall of spirits. Mam i Teca is the kind of place we all wish we had on the corner of our block. Sadly it isn’t on the corner of mine but when I’m in the Raval or nearby it’s the first place I check. You can take visitors both gastronomically adventurous and conservative in the sure knowledge that they’ll all leave happy. You can taste the care and love that goes into the food at Mam i Teca – long may it continue. 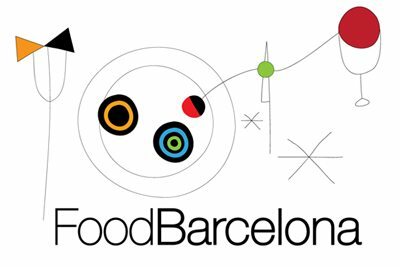 FoodBarcelona has a new home!